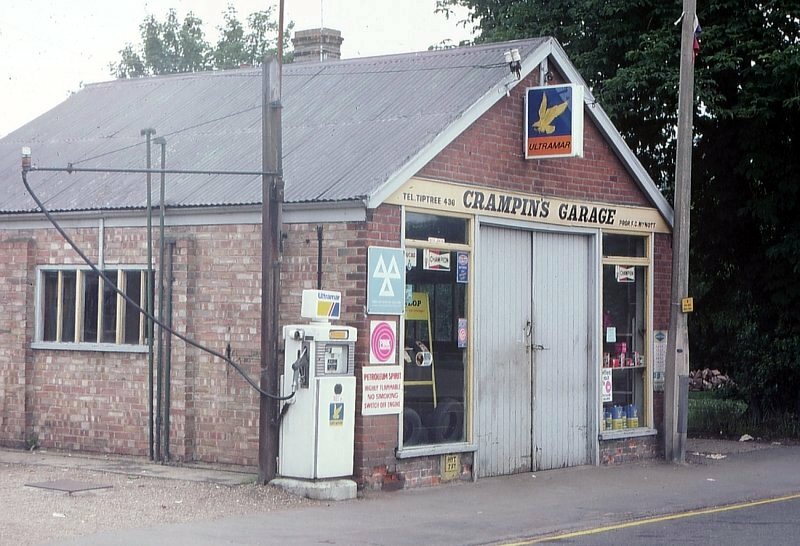 An Ultramar Station in Tiptree, Essex, UK, 1979. Photo taken by Ian Byrne. This station is showing an earlier Ultramar sign and the final design of Ultramar globe. There were two earlier globe designs, both hexagons rather like Texaco in shape; the later was blue and white, and the earlier a sort of ruby colour with black writing. 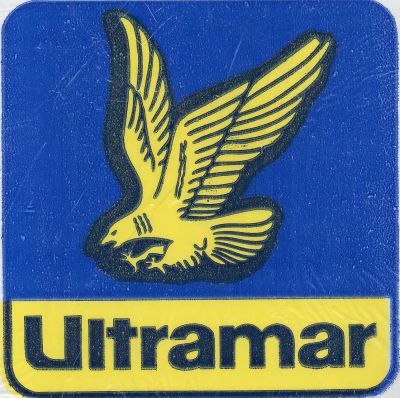 I have no pictures of either, and they didn't match the earliest Ultramar pole sign, which was of a yellow letter U with flying wings on the dark blue square. 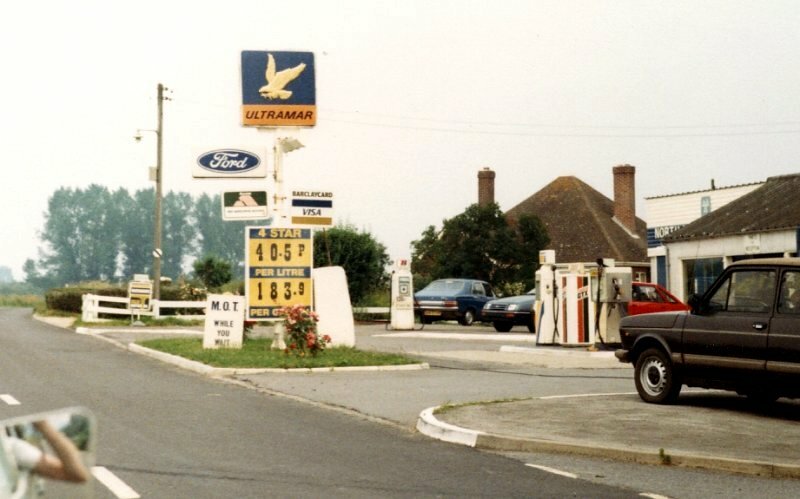 An Ultramar station on A345 in North Newton, UK. Photo taken in 1983 by Ian Byrne. This shows a more common variant of the sign in a perfect square, as opposed to the rectangular version used in Tiptree, presumably as it could not jut out over the road. This sign was also used in Canada, but not California. Note the station has both an Ultramar globe and a pump with a Butler globe at the rear. 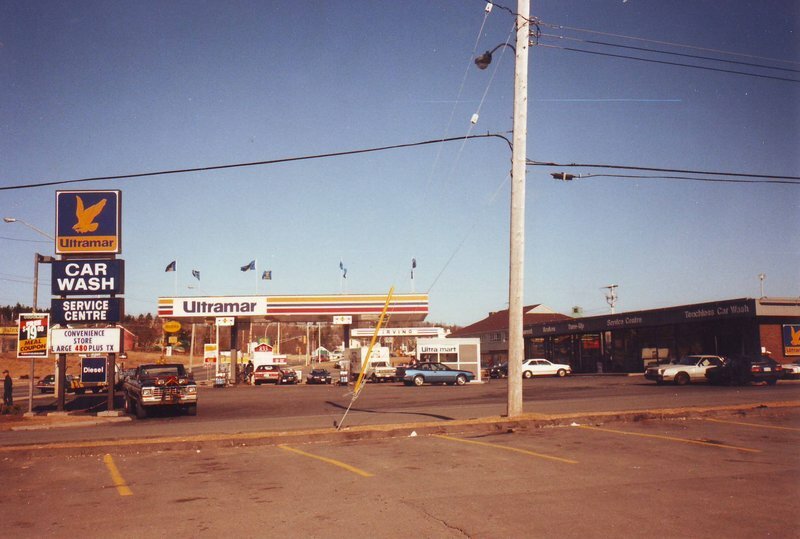 Cliff Otto's Ultramar in Sackville, Nova Scotia, Canada which he operated from 1986 to 1996. 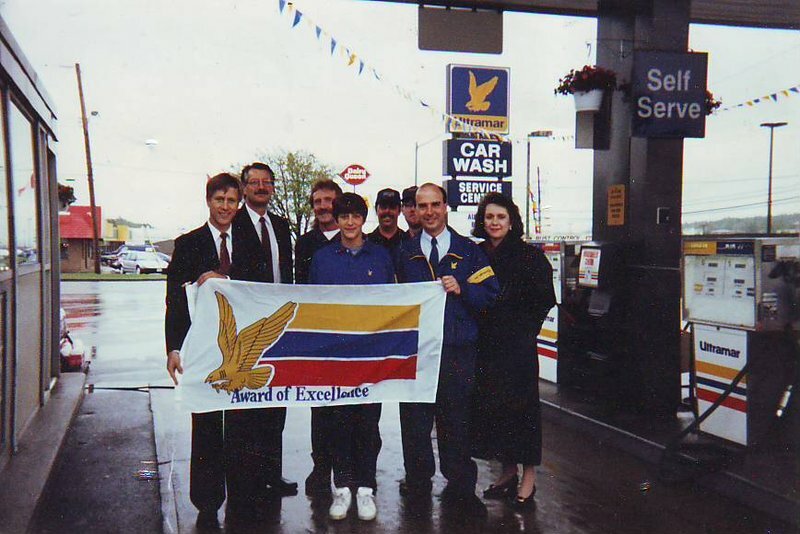 Cliff states that this location was originally a B-A (British-American), then in the 70s it became a Gulf, and then converted to Ultramar in 1985. This building is gone now, replaced by a newer Ultramar. Photo submitted by Cliff Otto. 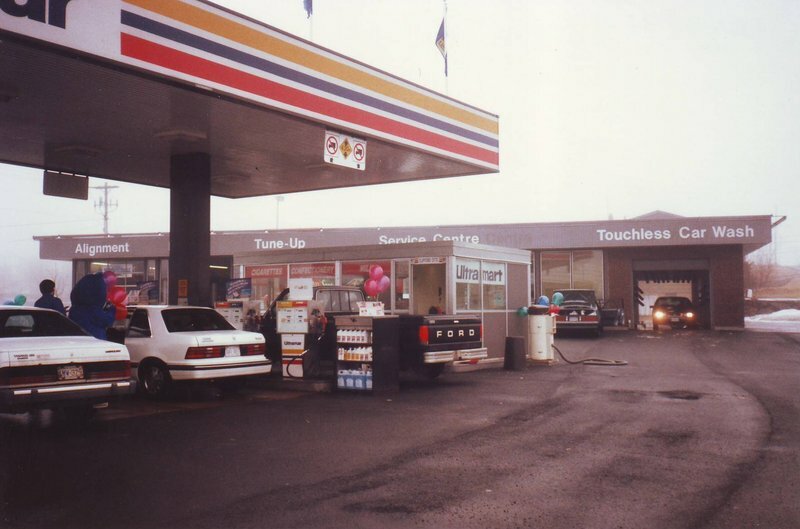 Above, two more shots of Cliff Otto's Ultramar in Sackville, Nova Scotia, between 1986 and 1996. Photos submitted by Cliff Otto. 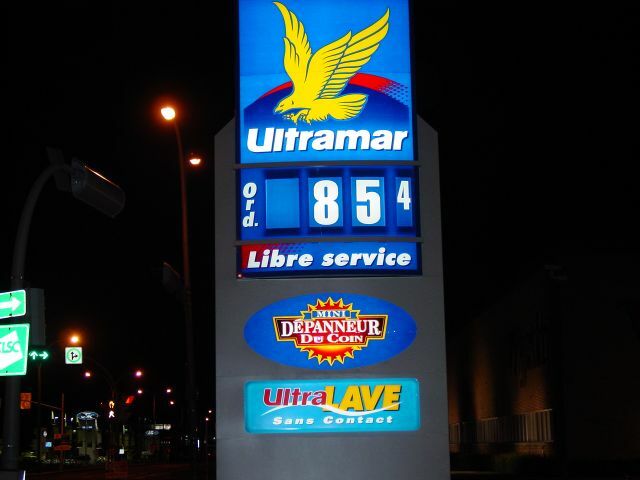 A new Ultramar pump in Montreal, Canada. Taken June 27, 2004 by Joey Weiss. From David Backlin, Feb. 2000. 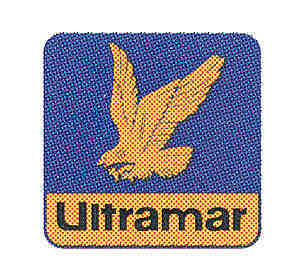 Scan of an Ultramar plastic bag. Bag donated by J. Eric Freedner, Dec. 2002. 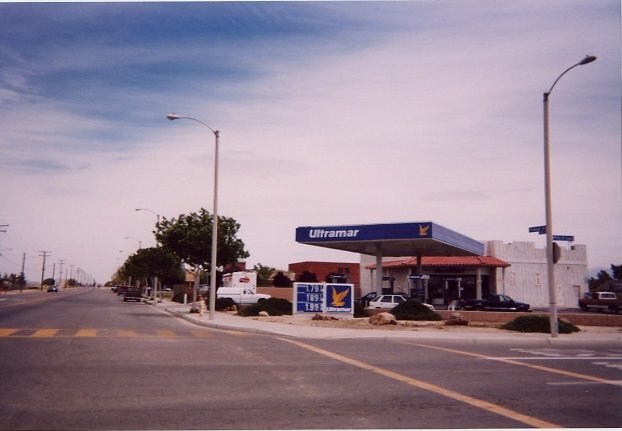 Ultramar on East Palmdale Boulevard and 95th Street East in what's now Sun Village, California. Taken April 2003 by J. Eric Freedner. 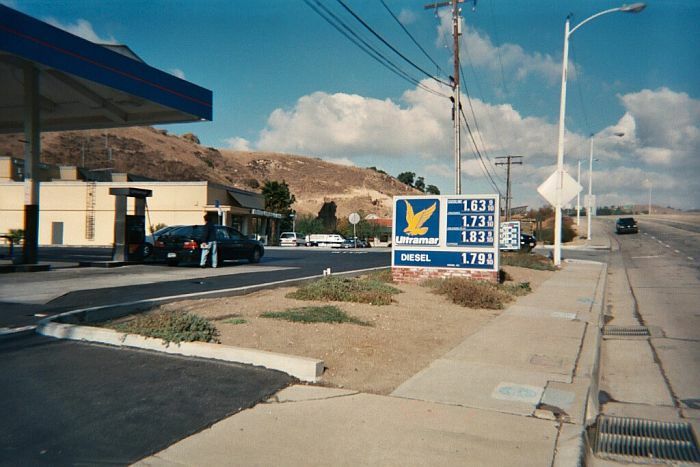 Ultramar station at Las Virgenes Rd. and US 101 in Calabasas, CA. Taken Nov. 2003 by J. Eric Freedner. Suspect it will become a Valero soon.